Bright orange eyes fixating from within Enyaliodes binzayedi’s bright green spines and scales, a quick sliver of lilac chasing a lithe Anguilla bank skink scampering through the rocks, Madagascar’s miniature chameleon camouflaging on the nib of a matchstick, the colourful laces dappled over the reticulated dragonet and the hauntingly familiar gaze of the beautiful lesula monkey… These are just a sample of the species to have been discovered on our spinning rock of land, sea and life this year. That’s without even delving into the treasures to be found in the invertebrate community. Even you, an Edinburgh student who may have been lucky enough to have seen dolphins or monkeys on holiday, or maybe paid a visit to the pandas in Edinburgh Zoo, have only seen a tiny fraction of life on Earth. The idea that we should invest millions of pounds of research funds into bringing back animals we have never seen before when there are so many animals that the majority of us have never seen in the flesh, let alone those that have not yet been discovered, is ludicrous. Conservation charities worldwide are battling with corporate companies and governments, fighting for the rights of our fellow earthlings to keep their habitats as our fattening population gorges itself on their resources. If people are concerned with seeing new species, and having a wealth of creatures to show their children, this is the fight they need to support. Not to mention that these animals could never be released back into the wild. The structure of ecosystems is built on centuries of co-evolution, with the role of each sprig, insect, mammal and twig carefully intertwined to balance their survival. So far, we have not been able to interfere with any ecosystem, by accident (eg. Seeds brought in our shoes) or on purpose (biological control: introducing a carnivore to get rid of a pest), without causing ecosystem collapse. That’s just within the life we have on this planet- ecosystems have changed immeasurably since the extinct animals in question disappeared. Their lives are tragically out of date, and so their existence would be nothing more than a gimmick of time travel, which would be great if we had the time and money- but we don’t! The millions of species from every corner of the world today need us now, and we have to stop the momentum pushing extinction forward before we can worry about trying to push it back. Originally published in the Student, March 2013. 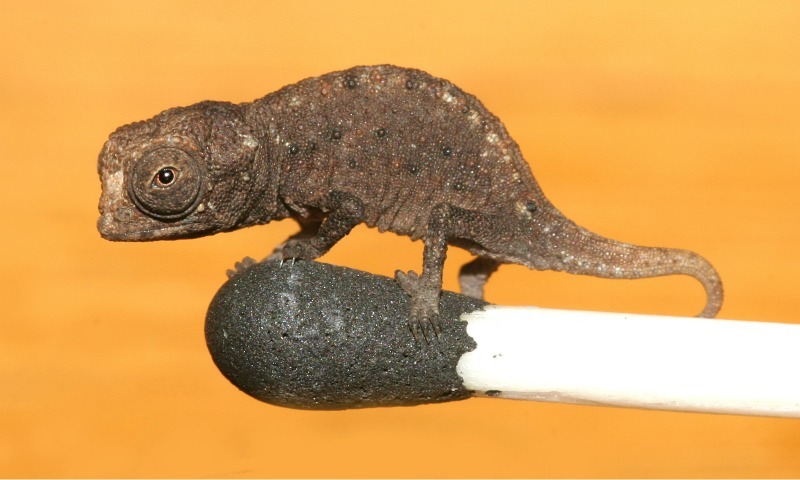 Tags: chameleon, conservation, de-extinction, discovered, discoveries, edinburgh zoo, Enyaliodes binzayedi, madagascar, miniature, new, species. Bookmark the permalink. Previous post ← What happens when you get tickled?